Jiangsu Satellite TV (JSTV) The Brain Season 3 just turned up the fever! 5 steps to make the most exciting competition system. The contestants of both Season 1 & 2 will face off; the international challenge versus the international challengers. The MVP of the international face-off of the strongest brains will emerge as The Brain. Young and popular idol groups will make guest appearances but not as panel judges. 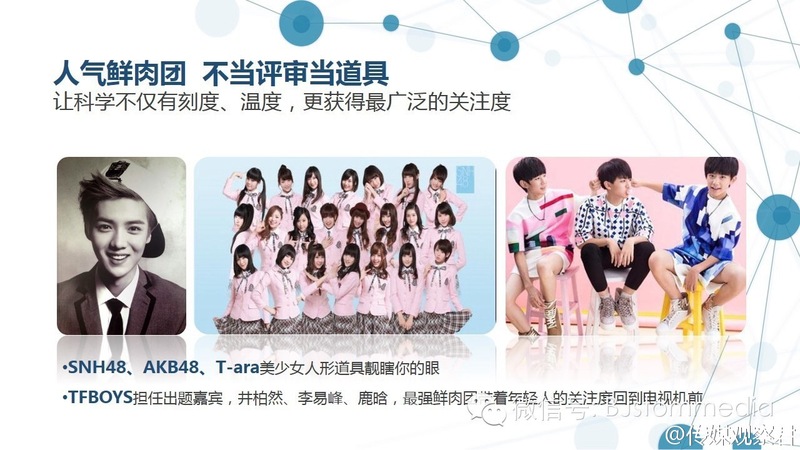 The Brain has invited Luhan, Li Yi Feng, TFBOYS, T-ara, AKB48, the bright 90-liner stars. According to their Weibo, they have plan to invite T-ARA. As long as the game is not language related, T-ARA or selected members may be participating but it’s still in early stage.